Please, will you help us to restore and breathe new life into the beautiful man on the bench sculpture? 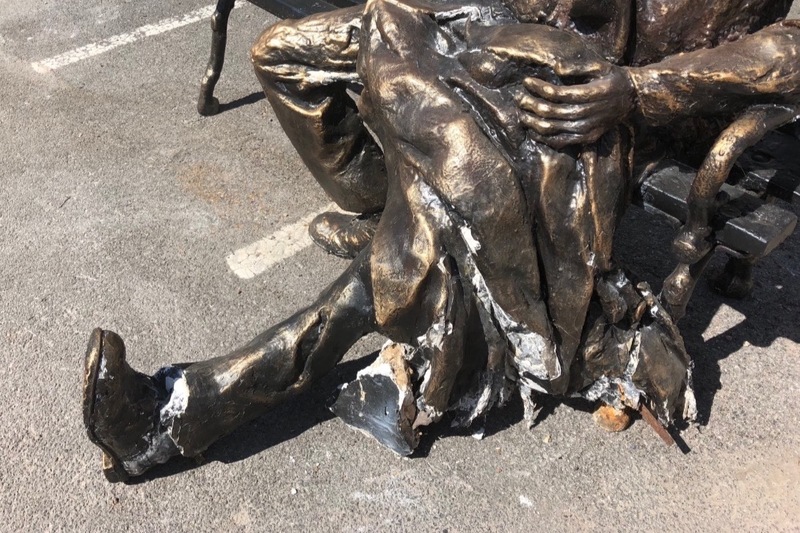 Unfortunately, the man, with no name, was damaged by vandals and sustained injuries which include a broken leg and a heavy heart and he has been in hiding ever since. We are keen to not only get him back on his feet, but to make him stronger than he has ever been, so that he will live forever and avoid further damage. And to keep him company, we would like to provide him with a four-legged friend. He would then be placed back into the community where he loves to relax and watch the world go by; keeping commuters company whilst waiting for their train at Irlam Station, as well as enjoying being a #selfie hit too. 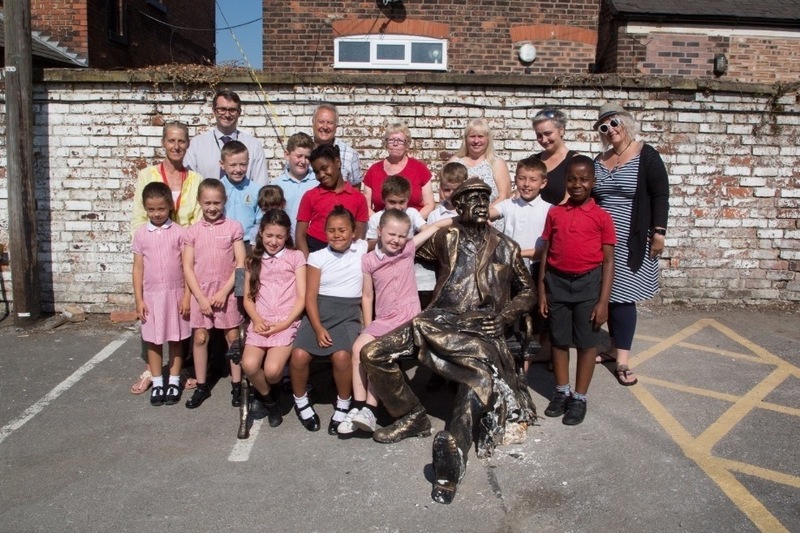 The sculpture was originated by Simon Law, a talented local schoolboy studying O’Level Art at Irlam and Cadishead College in 1978. Simon imagined the man had taken his dog to the park after a hard day at work, sat on the bench watching the sun go down. This perhaps explains why he looks so tired, and thoughtful. As part of the crowdfunding process, we would like to provide all donators with the opportunity to name the man. 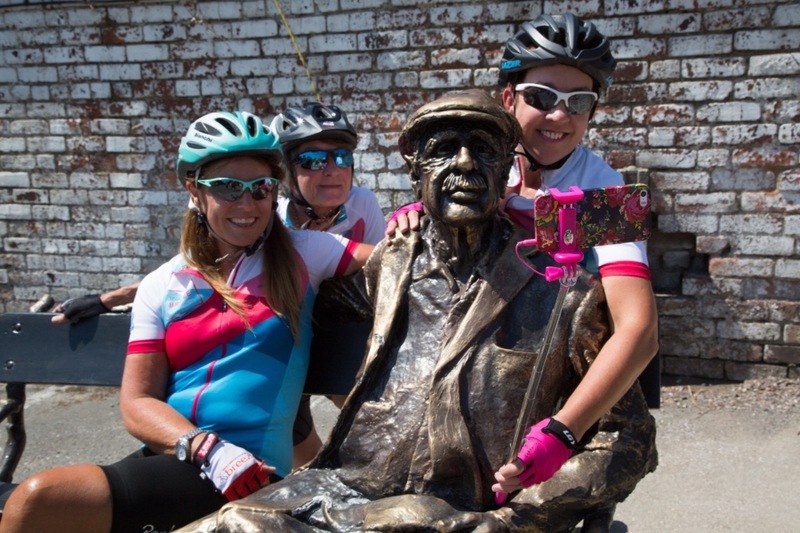 We are looking to raise £17,950 to have him cast in bronze and returned to his favourite bench to watch the world go by At the End of the Day. 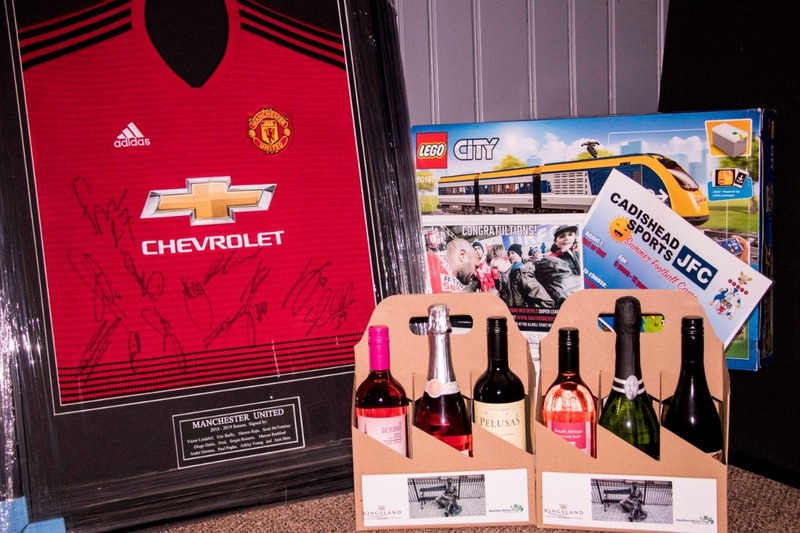 We are delighted to announce that all donations made between now and 4pm on 6th June will be rewarded with raffle tickets for our new prize draw, with a chance to win a signed and framed Manchester United shirt, as well as other great prizes. The minimum Go Fund Me donation is £5 and all tickets will be issued based on 1 ticket per £1 donation. Please ensure that you email hello@hamiltondavies.org.uk with your details so that we can send across your ticket confirmation and can contact you if you’re a lucky winner! Please allow 5 working days for your tickets to be emailed to you. If you can’t find the confirmation email within your inbox, be sure to check your junk folder. A big thanks so far for all your donations, it really is helping to get the Man on the Bench back on his feet. We applied to some applications to try and access some other funds which will hopefully give a big chunk towards the project. Thank you​ again from the Man on the Bench and HDT! Just to say a huge thanks for the donations so far to help us save the Man on the Bench! We're hoping to hear back from some grants soon which will fingers crossed give us a big boost towards our goal, but we are overwhelmed with​ the support for the man so far!